Airdate: Hello. My name is Flume. When it comes to talking about Flume (aka Harley Streten), wunderkind is the first thing that springs to mind. In less than a year, the 21 year-old Sydney producer captured the attention of and acclaim from Australia’s most powerful music tastemakers. Throw in there a #1 self-titled debut album, countless national and international tours and it’s pretty easy to see how this electronic wizard is taking Australia (and very soon the world) by storm. In Hello. My Name Is Flume premiering Friday February 22 at 8pm The Weekend AAA on Channel [V] takes you behind the scenes over three days and five gigs in the life of Harley as he performs at St Jerome’s Laneway Festival. Plus we take you into his bedroom studio where the magic happens and speak with his parents about his incredible achievements. 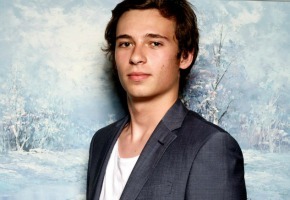 2013 is set to be huge for Flume. Tune in Friday February 22 at 8pm for your AAA look at life on the road with this rising star. Tags: Hello. My name is Flume.